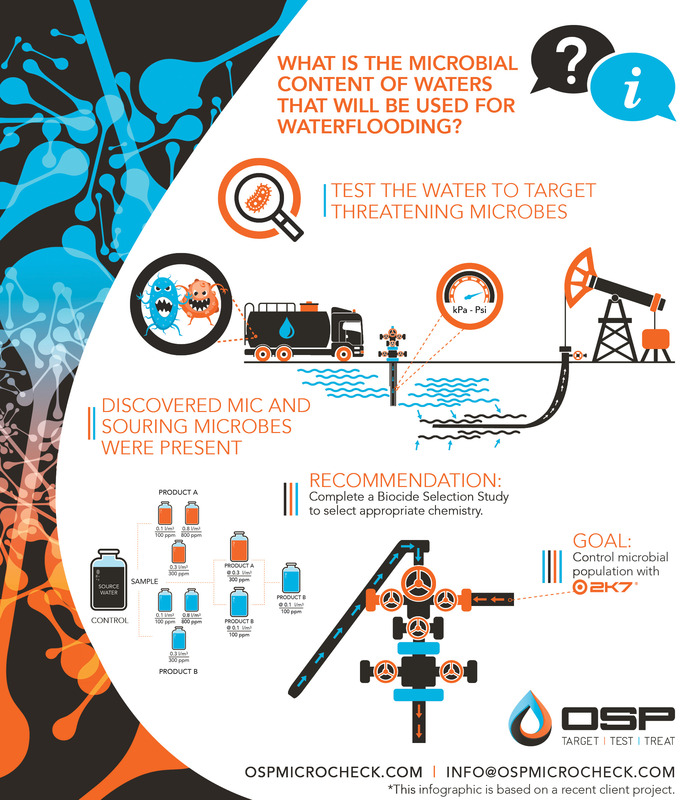 What is the microbial content of waters that will be used for waterflooding? Recently a client came to us with concerns about microbial content in waters that would be used for waterflooding. The concern was that specific microbial subgroups may lead to undesirable production-related issues once introduced into the reservoir. The OSP Technical Team conducted LifeCheck DNA qPCR to target and enumerate microbes that contribute to souring and MIC related issues, concluding the overall microbial load was high at 109 ME/ml. The recommendation back to the client was to complete a biocide selection study to select the appropriate chemistry to control (and minimize) the microbial population in these waters prior to injection.